I am working on my last Christmas cards this week… I thought I had enough but so thankful to know that there were some new friends and mission partners God has brought into our life this year! We are rejoicing! Today I would love to share couple of the cards I made using some retired products from Close To My Heart. Both cards are 5.75″ square. Card 1 I used some of Sparkle and Shine paper packet and I distress the edge of the second layer paper using Edge Distresser. I really like this distress tool, easy to use and quick way to create torn edges 🙂 Then I tucked one of the corners and secured it with Mini Stapler. 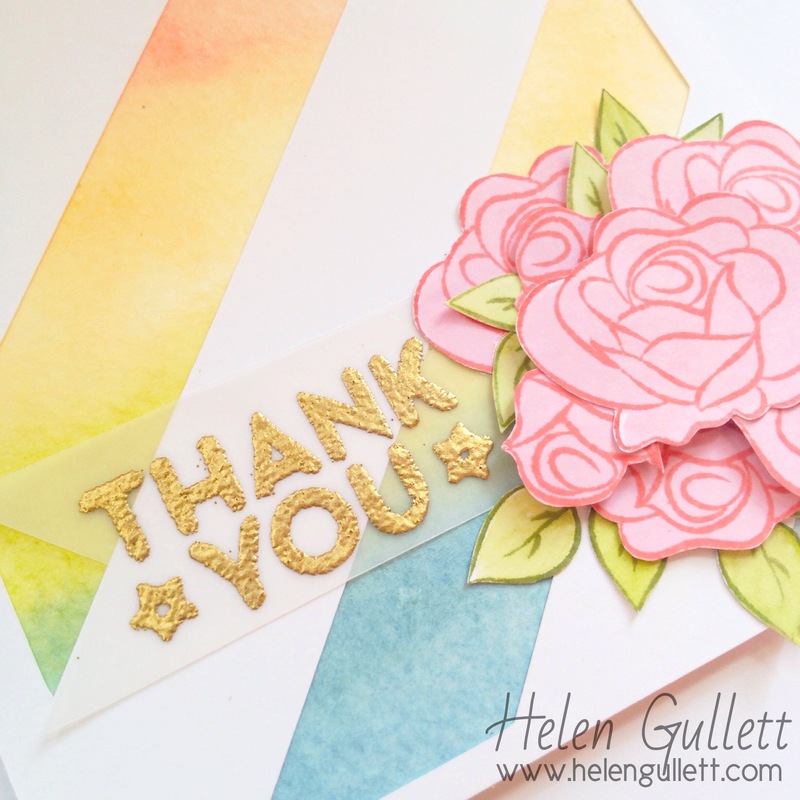 On a square piece of watercolor paper I stamped the wreath using Olive exclusive ink pad. The wreath I actually created using a leaf brach from It’s The Little Things set (SOTM November 2014). I drew a thin circle as guide and stamped the leaf repeatedly after I sprayed with little water to give the watercolor effect. With the same technique, I stamped the Noel sentiment in the center of the wreath using Ruby exclusive ink pad. Then I embellish with some Studio G red glitter glue, I found it at Walmart scrapbooking area. I set it aside to dry completely before I added the twine and glued it on the card. 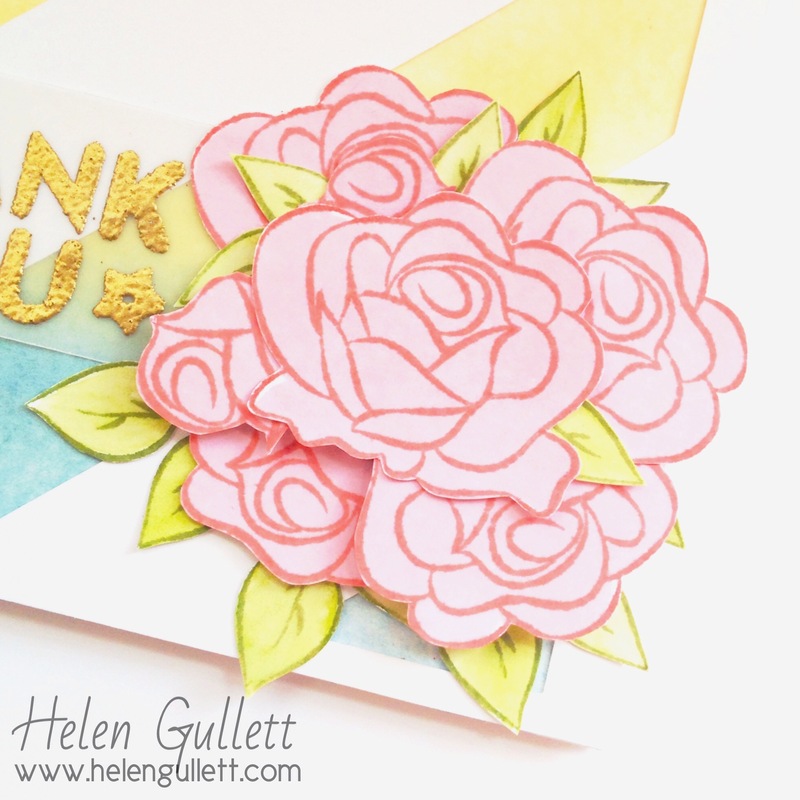 And this second card, I link up at Simon Says Stamp Wednesday Challenge, Bling It On. I used the same products and technique to create this card. A little bit different design. For the wreath, I only stamped the leaves one layer and then I added some red adhesive gems on the wreath. Then I add the baker’s twine on top of the card. Thank you for stopping by today and have a merry December!!! I am learning about watercoloring and been having so much fun with it 🙂 Today, I made a card to join the fun week with Winnie & Walter, Share the Love Week 1, featuring Simon Says Stamp. There so many inspirations on W&W blog! On a piece of watercolor paper, I used CTMH Watercolor pencils to make the rainbow background, added some water using the brush and Ta-Da! Love it! I dried it with my Craft Heater for quick drying, you also can just let it air dry if you are not in hurry. I added adhesive using Xyron large sticker maker. Using Silhouette Studio Designer, I resized W & W Freebie, Cut Files Basic Vol.1. It is a diagonal stripe journaling card size so I resized it first as big as my card base. Cut it. I used using Liquid Glass glue to add it on top of the watercolored background. I love W & W The Big, The Bold and Extra stamp set!! Those gorgeous flowers & leaves I stamped a lot of them on a piece of CTMH White Daisy cardstock using CTMH Exclusive Inks Pads: Pixie, Smoothie, Pear and Olive. Then I fussy cut them. The sentiment is from Simon Says Stamp May 2013 Card Kit stamp set. I stamped it on a piece of velum with VersaMark ink pad, added some Gold Embossing powder and then heated it up with my Craft Heater. I used Liquid Glass to add it on the card. Then at last step I added a bunch of flowers and leaves on the velum using Liquid Glass and 3D Foam Tape.